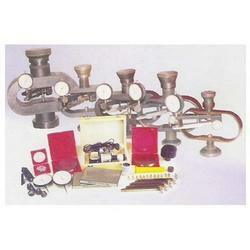 We are a leading Wholesale Trader of industrial calibration services from Pune, India. Our company has been dedicatedly trading and supplying Industrial Calibration Services. Our technicians are skilled to provide calibration services for pressure and float switches for military aircraft applications, flow calibrations for liquid and gas, pressure/vacuum calibrations, and much more.We perform calibration and repair service for test equipment such as electrical safety analyzers, defibrillator analyzers, or any other biomedical test equipment calibration.We can provide calibration services on digital handheld gage instruments, bore/hole gauges, micrometers, and laminated presses to name a few. Looking for Industrial Calibration Services ?